From the bestselling author of A Boy Called Christmas, The Girl Who Saved Christmas, Father Christmas and Me and The Truth Pixie. *'A clawed masterpiece' - Guardian* Barney Willow's life couldn't get any worse. He's weedy, with sticky-out ears. Horrible Gavin Needle loves tormenting him. And evil headteacher Miss Whipmire seems determined to make Barney's existence a complete misery! Worst of all, Dad has been missing for almost a year - and there's no sign of him ever coming home. Barney just wants to escape. To find another life. To be a cat, for example. A quiet, lazy cat. Things would be so much easier - wouldn't they? A darkly funny and adventurous tale from multi-award-winning author Matt Haig. 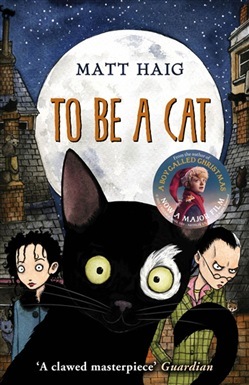 Acquista To Be A Cat in Epub: dopo aver letto l’ebook To Be A Cat di Matt Haig ti invitiamo a lasciarci una Recensione qui sotto: sarà utile agli utenti che non abbiano ancora letto questo libro e che vogliano avere delle opinioni altrui. L’opinione su di un libro è molto soggettiva e per questo leggere eventuali recensioni negative non ci dovrà frenare dall’acquisto, anzi dovrà spingerci ad acquistare il libro in fretta per poter dire la nostra ed eventualmente smentire quanto commentato da altri, contribuendo ad arricchire più possibile i commenti e dare sempre più spunti di confronto al pubblico online.